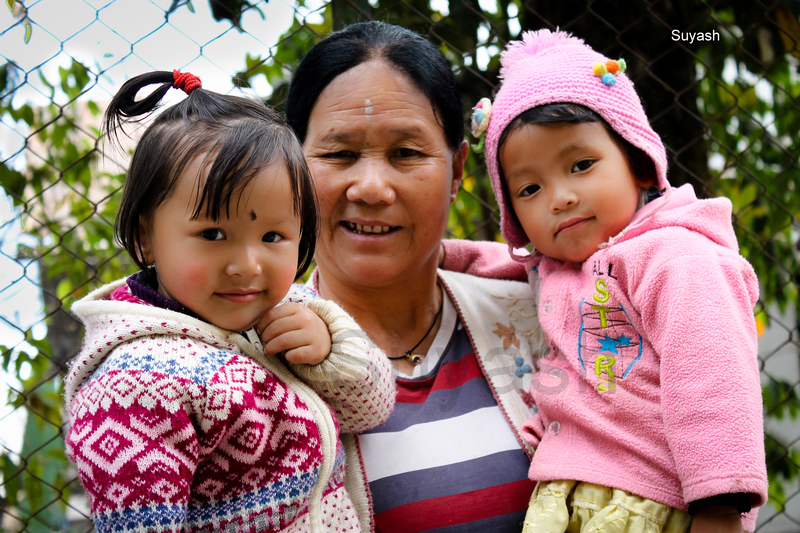 I clicked this photo of cute little angels with their mother on our trip to Darjeeling in March of 2013. Being closer to Himalayas, Darjeeling is a very popular hill station in India. In winter, be it sweaters or warm jackets or a hot cup of coffee, nothing beats the warmth of a mother’s love. What do you think? Visit here for more photos on Warmth. This entry was posted in India, Life, Photography, Travel and tagged children, Darjeeling, Drink Life to its Lees, Hill Station in India, Himalayas, India, Life, Mother's Love, Photography, Sikkim, Travel, Warmth of a Mother's Love, Weekly Photo Challenge, winter. Bookmark the permalink. Lovely and true. I was in Darjeeling in 2000. It was during autumn. That’s true. Nothing can beat that warmth. It’s universal. O yes. I clicked them in Darjeeling enroute to Gangtok. Darjeeling has to be just a nice place! O yes. Its called Darjeeling tea, which is exported to so many countries. I found it in many places including Spain. A precious image and such a beautiful family! Suyash, Wonderful photo. I can feel the love among them. Makes me thinking of my mother.